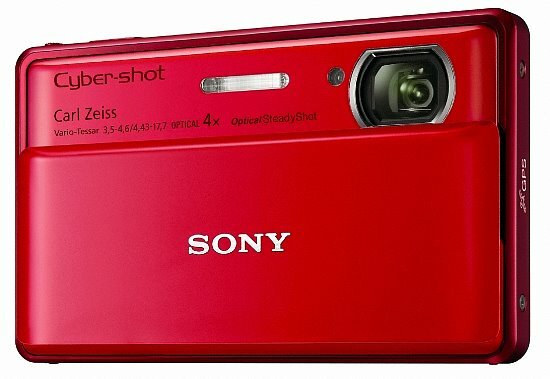 Sony's sturdy Cyber-shot series is, of course, getting a full line of upgrades this year. CES buzzwords include 16.2 megapixel "Exmor R" back-illuminated CMOS sensor, 1080 HD movie recording, and 3D still images / panoramas. The flagship model (read, most expensive) is the DSC-TX100V. It is the world's first digital still camera to include full HD (1920 x 1080/60p AVCHD) video capabilities. It is also the first Cyber-shot with a 3.5-inch OLED touch screen. OLED screens are thinner and provide better contrast ratios. Also exclusive to this model is an advanced version of Sony's Backlight Correction HDR (High Dynamic Range) Mode, which takes shadows, highlights, and mid-tones from three separate photos to create one brilliant image. 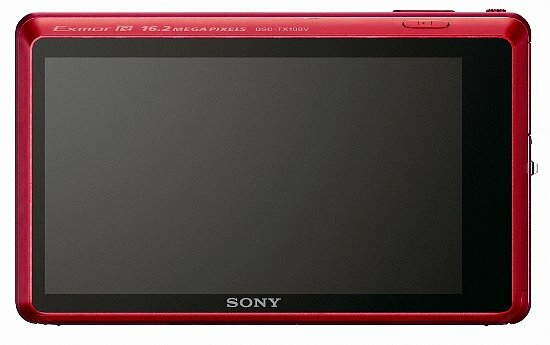 The DSC-TX100V will be available in silver, black and red for about $380 US in March, 2011.